From hygienic case design to small process connections: WIKA has tailored its new PG43SA-S diaphragm pressure gauge to the requirements of sanitary applications. 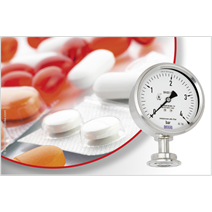 With this, there is now also a mechanical measuring instrument available for safe pressure monitoring in hygienic applications. Its measuring principle, with a flush welded diaphragm, enables mechanical pressure transmission, whereby the risk of product contamination through a transmission fluid is eliminated. 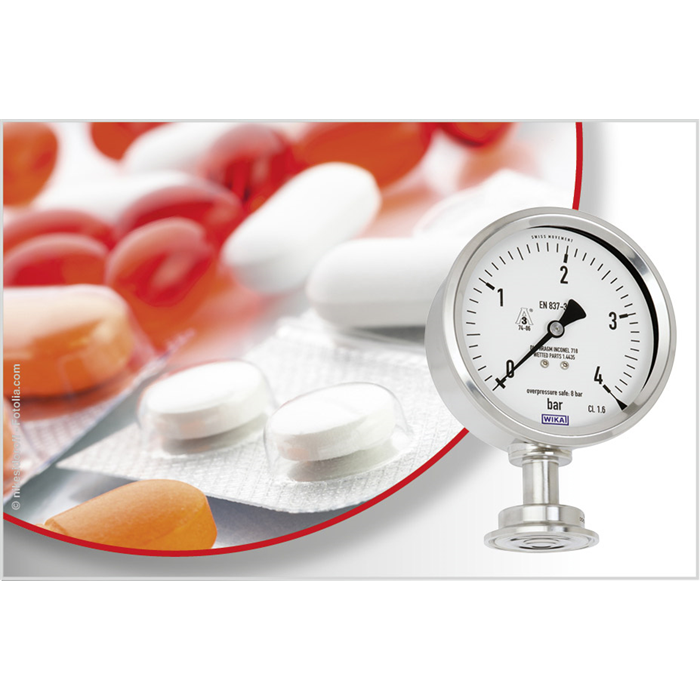 As a result of its high overpressure safety, the instrument can also withstand critical process conditions. The operational flexibility of the PG43SA-S is supported through a large selection of small process connections - for example, to DIN 32676 (clamp) or to DIN 11864. 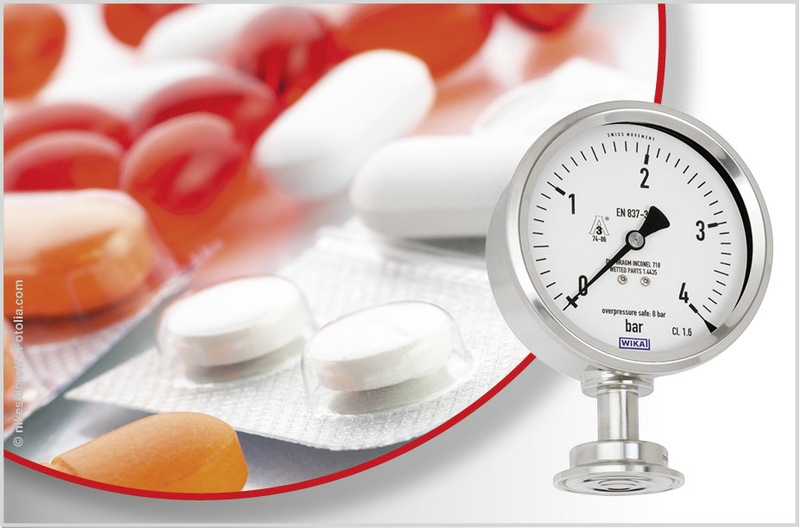 Tested in accordance with 3-A Sanitary Standards, the pressure gauge with hygienic case is CIP, SIP and wash-down capable. It can thus be cleaned reliably and time-efficiently. An easily accessible zero adjustment on the top of the case enables calibration if needed.